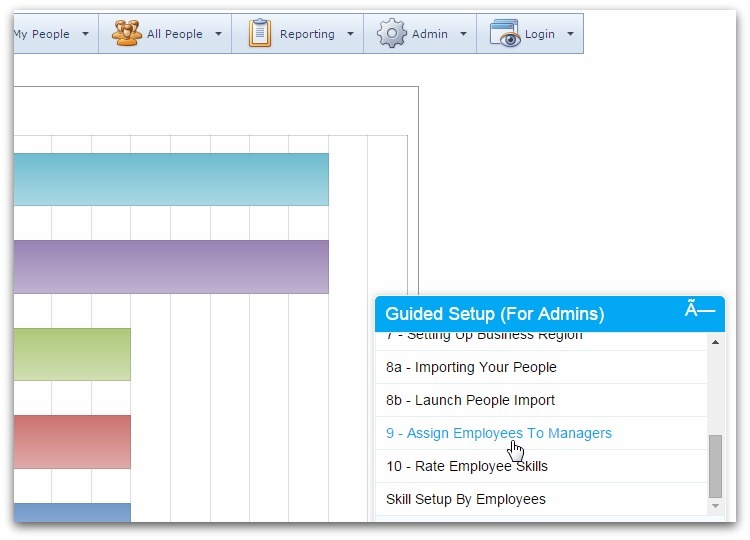 You may have noticed a new widget at the bottom right of your screen each time you access Skills DB Pro. Article Update: We moved this widget to the top right of the screen as it seemed to cover some functions in its previous position. If you have been wondering what this button does, but have so far refused to click on it, because you (like me) would rather avoid anything that involves the word “setup”, then let me put you at ease. 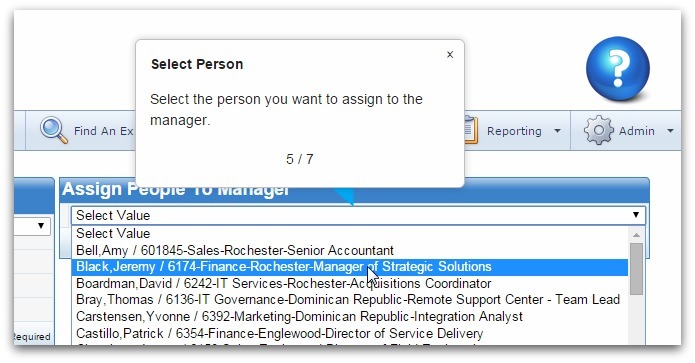 This button actually opens up an on-page walkthrough that makes it easier for administrators to setup and use the system. New clients who just started the initial setup process for their company can simply follow through from step 1 to the last step. 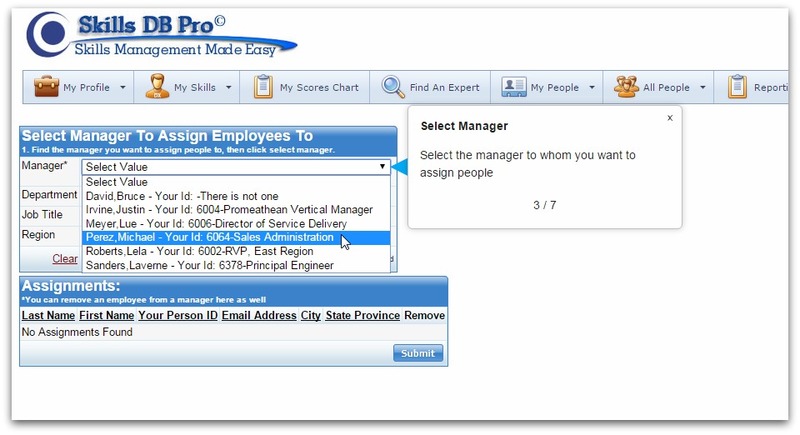 But besides the initial setup, this feature simplifies the day to day usage of Skills DB Pro. 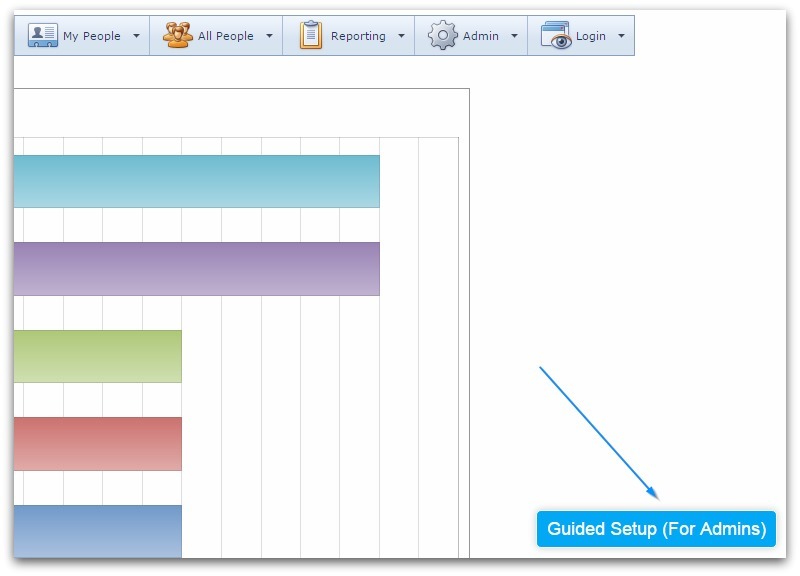 For example, if you were working with the system but forgot how to get something done, you would have to grab our user guide and skim for the answer, or maybe even contact us. 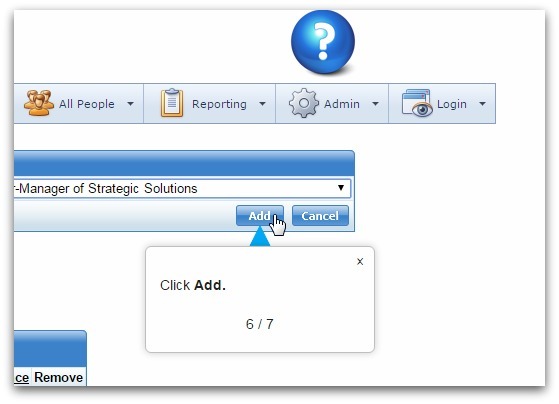 But with this new feature, you can simply click on the widget, select the topic that addresses what you want to accomplish, and the system walks you through each step. The system covers many basic setup functions, and we will continue to add to it as we see fit, or according to your suggestions. 1. 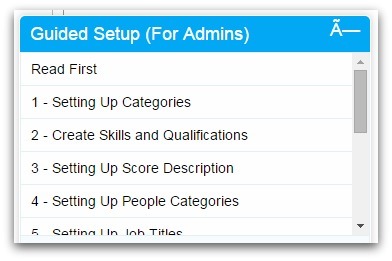 Click on the widget and select the appropriate guide from the list. 2. 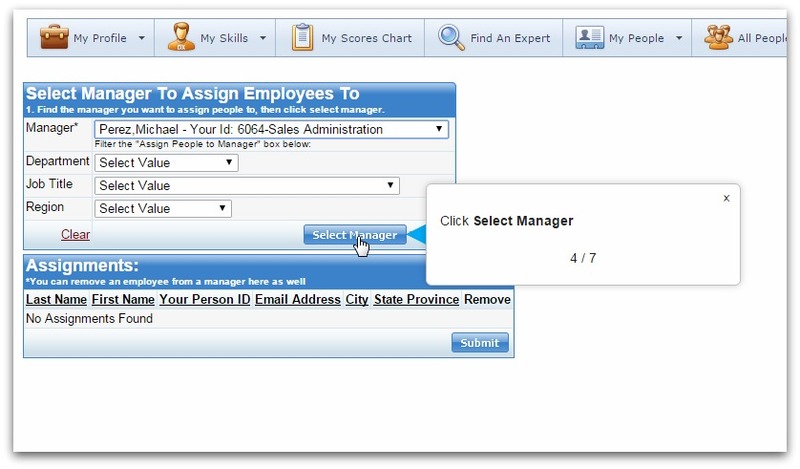 Follow the steps in the guide to assign employees as shown in the following screenshots. 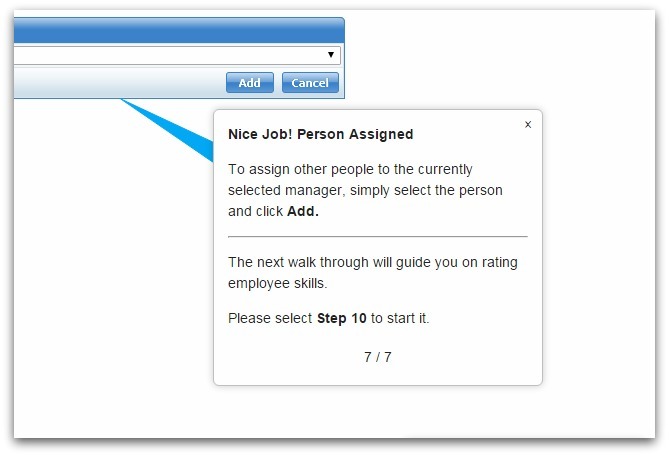 As you can see, the walkthrough takes you through the whole process until you’ve completed the task you have in mind. 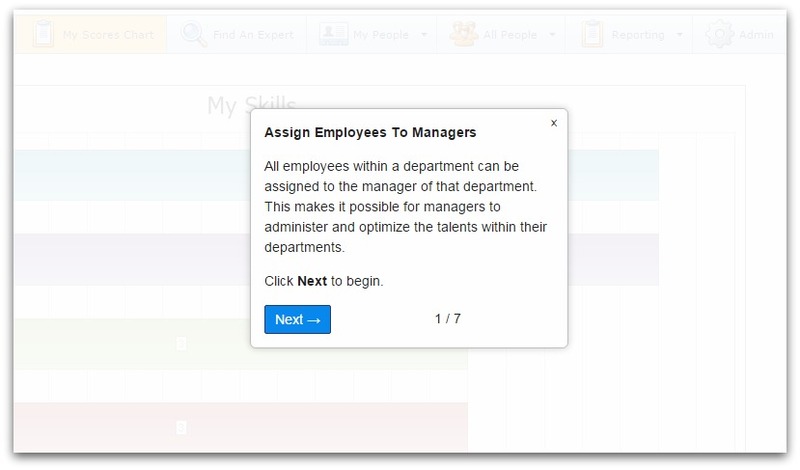 We hope this feature will help save your valuable time, and improve your general experience as you manage and optimize your workforce with Skills DB Pro.